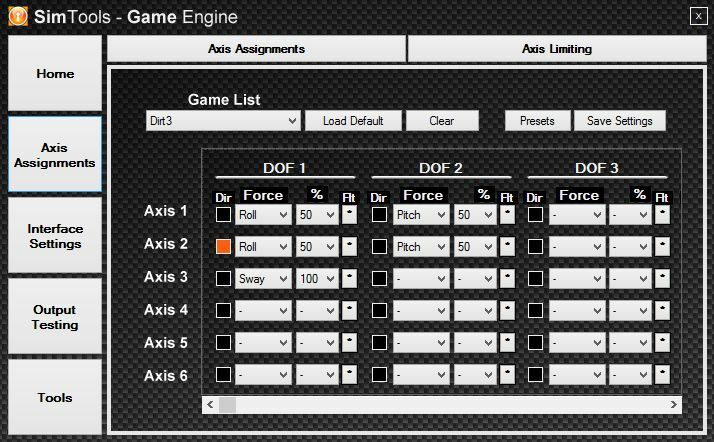 What is SimTools motion simulator software? 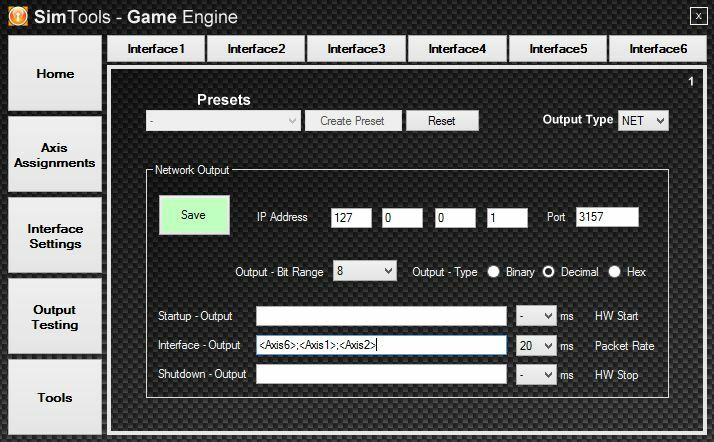 This software is the connection-link between the game and the motion simulator. It extracts the game values like the force of speed, the direction of movement, shifting gear, RPM of the engine, force of acceleration and a lot more. Then, all these values will be mixed into a data set which is used to control the motors of a motion simulator. New games are supported within a short time after coming to the market. 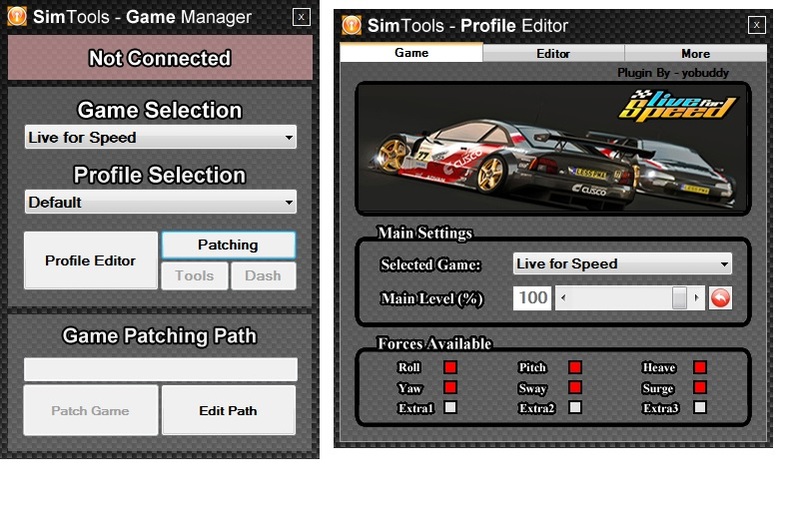 SimTools is delivered with built-in support for the race game Live for Speed (LFS). 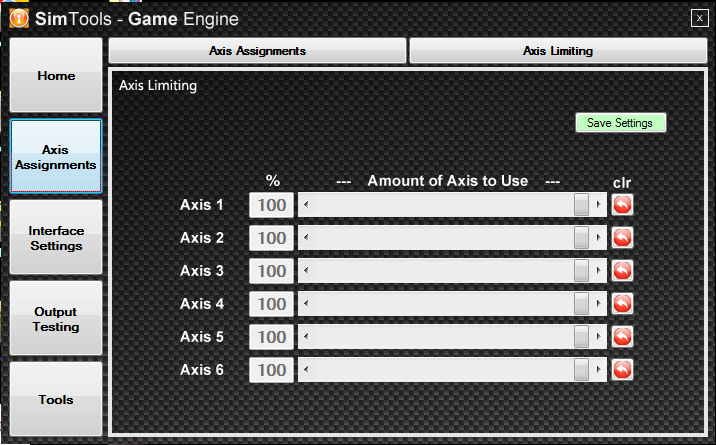 Extend SimTools with a plugin of your choice so it supports a new game with just a click. Need to download right now without the need of beeing active in the community? This package is most suitable for you when you need to access the latest plugins without any limitations. The Buy Now buttons are directing you to PayPal payment processor. If you can not use PayPal get in contact with us and we send you a link for credit card payment. You need a separate valid SimTools License for using these plugins! More than 80 Plugins available! Copa Petrobras de Marcas This official game reproduces the thrill of competing for wheel-to-wheel with models from various automakers in some of the main Brazilian race tracks such as Interlagos, Curitiba and the newly reformed Goiânia. All trademarks, brands, and logos are copyright of their respective owners. All logos are not authorized by, sponsored by, or associated with the trademark owner. If you think a logo is used without permission please write us and we remove it.